Brand new RH Lookbook available online now! Flokk brand RH have produced a brand new lookbook, exploring the entire RH range of chairs currently in production. Now it is available online as a digital download. This brand new booklet covers the core principles of the RH Philosophy, beautifully told over 32 pages full of colourful imagery, offering design inspiration and ideas for your office. 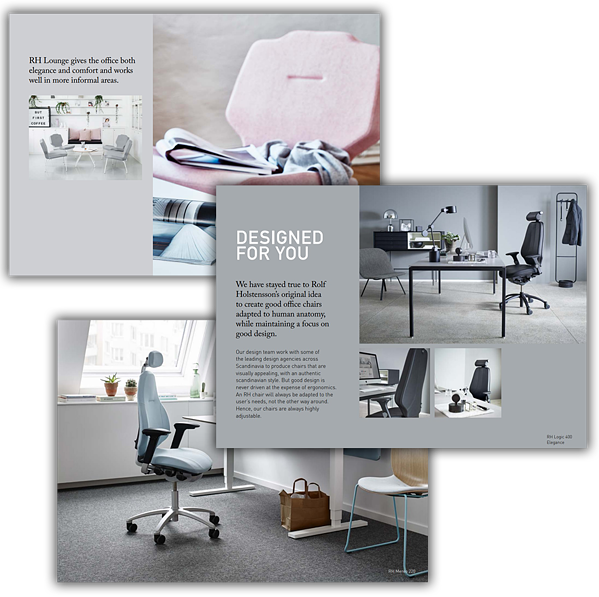 With a plethora of colour and fabric combinations available, this new lookbook highlights some of our favourites from the collection, and shows how RH can work in your environment, at home or at work.